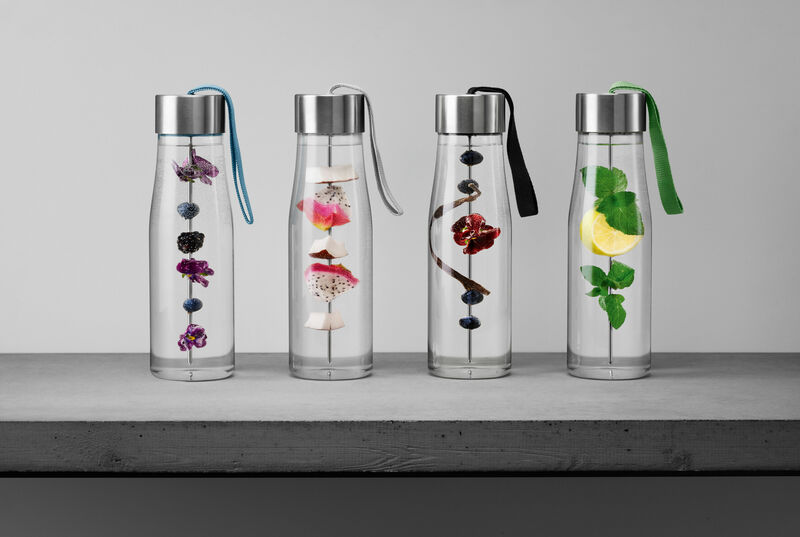 Enjoy a fresh homemade drink every day, flavoured by you with your favourite aromas! The MyFlavour flask is equipped with a stopper with a detachable skewer, which lets you skewer your favourite fruits, to then leave them to gently infuse in your drink: mint leaves, slices of lemon, orange segments, ginger, cucumber... Let your creativity run wild! 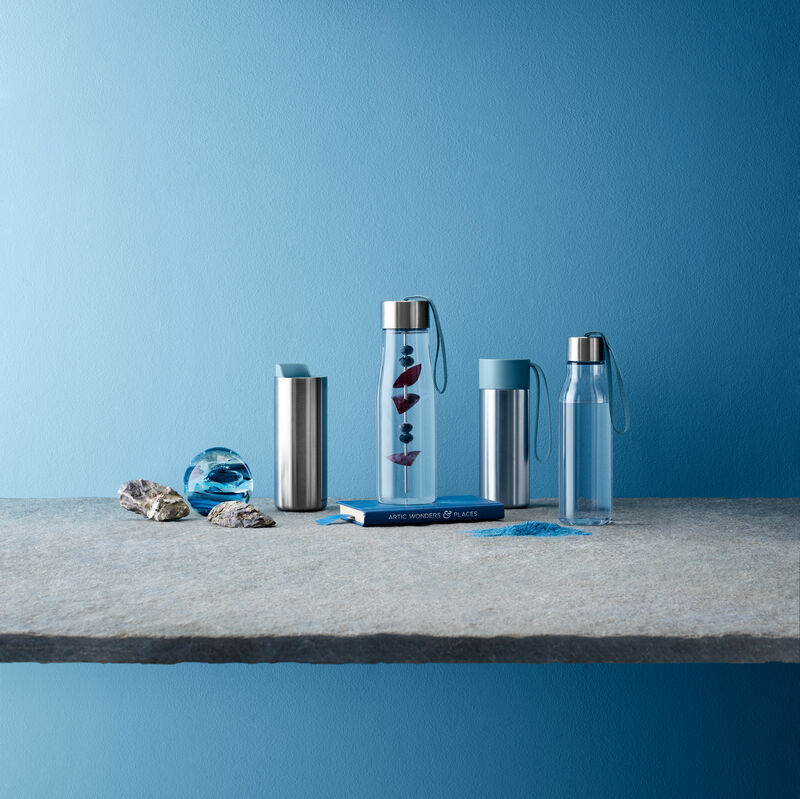 Compact and unbreakable, the Eva Solo flask is the ideal companion to help us to drink a lot. It never leaves our side: in a bag or on a desk, it is always within reach! The textile strap hooked on to the stopper lets you transport it easily. Hygienic, ecological and attractive, it is made of an innovative and ecological plastic which does not contain any traces of chemical substances (phthalates, Bisphenol A or heavy metals). You can fill it up indefinitely as the plastic used stops the spread of bacteria. Filling up a regular plastic bottle with water several times is strongly discouraged as the bacteria grow on it very quickly. 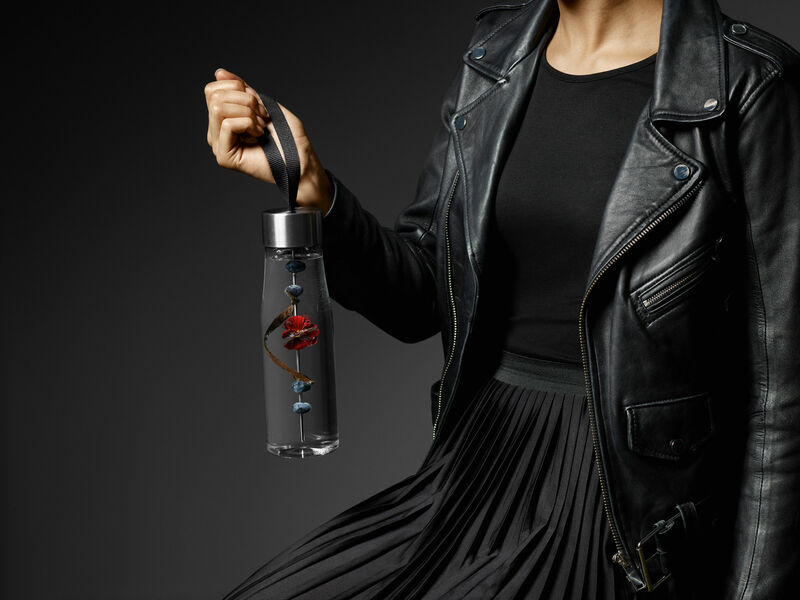 Finally, the Eva Solo bottle is an ecological solution. Disposable plastic bottles are only used for a few days then end up in the bin and pollute the planet. The Eva Solo bottle is reusable for life! 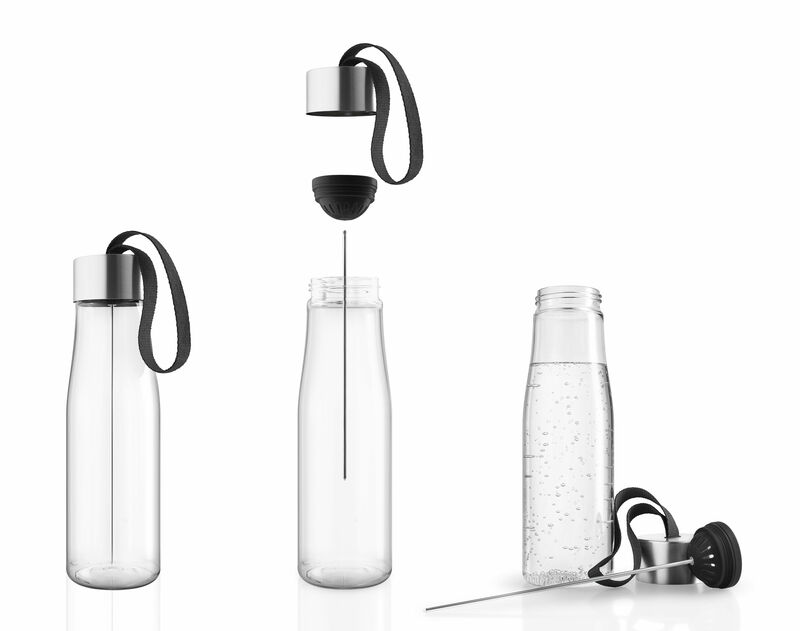 Easy to clean, this bottle is dishwasher-safe (except the stopper and the steel skewer).